As a Global Product Manager in the North America Alternative Fund Services group, Paul specializes in alternative assets reporting, including the tracking, measuring, and administering of private equity and hedge fund portfolios. 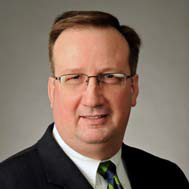 His expertise at Northern Trust includes extensive risk and performance analysis consulting and investment policy development. Paul was instrumental in developing Northern Trust’s private equity monitoring capability, and currently manages the Northern Trust Private Monitor® product line. He developed the industry’s first commercially available private equity partnership cash flow projection model. Paul has authored numerous articles and papers on alternative assets and investment analysis topics. As a conference speaker, Paul addresses audiences worldwide on issues affecting alternative assets including the evolution of performance techniques and overcoming data transparency challenges. Prior to joining Northern Trust, Paul worked at SEI Corporation in their consulting services unit (formerly A.G. Becker). His experience at SEI included product management, where he developed quantitative performance measurement analyses, capital markets research, and asset/liability studies. Paul has Bachelor’s Degree in Business from DePaul University and is a certified product manager.